Executive Trainee/ Asst. 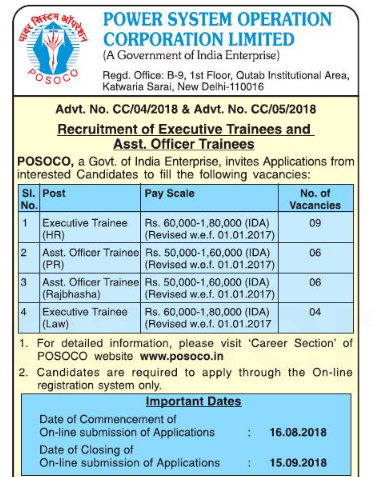 Office Trainee job Position in Power System Operation Corporation Ltd. Interested candidates should Apply Online. About Power System Operation Corporation Ltd.